We try to make PlanbookEdu an easy and intuitive user experience, but we realize there can be a learning curve. This post will help new users get the most of our service. After registering you will be brought to a screen for creating your first planbook. 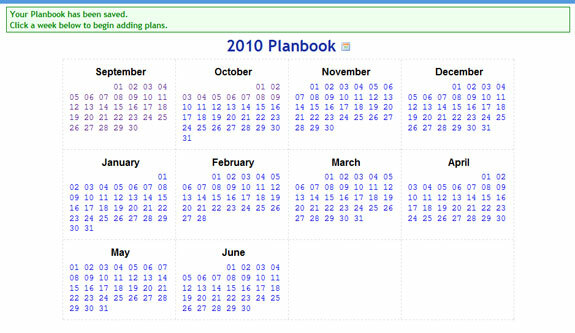 A planbook will hold your lesson plans for a set period of time, usually one school year, but it could be a semester or session depending on how your school operates. When it is time to start your next school year you will create a new planbook with the option of copying this planbook forward. 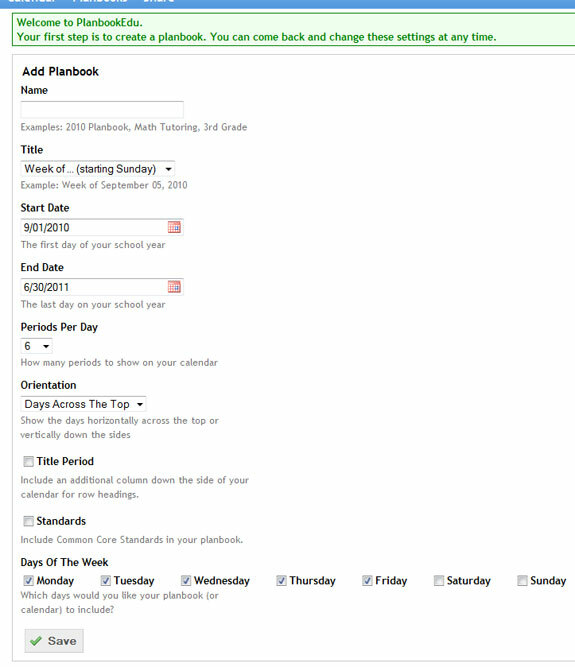 There are many options for what your planbook should look like such as how many periods are in a day and whether to include the Common Core Standards. Each of the options has help text next to it to explain its purpose. If any of the fields are unclear leave a comment on this post and we'll update this post to better explain it. Feel free to experiment with this options. You can go back at any time and change them. After saving your planbook you'll be brought to the monthly view. It shows a calendar of all the dates in your planbook. 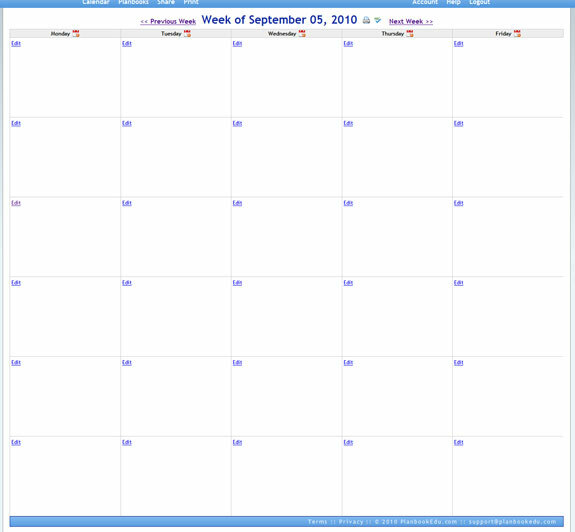 You can click on any week in the calendar to go to that week or click on the calendar icon ( ) next to your planbook name to jump to the current week (if today's day is your planbook). You should now be looking at the weekly view. To start creating plans click on the "edit" link for any of the boxes. 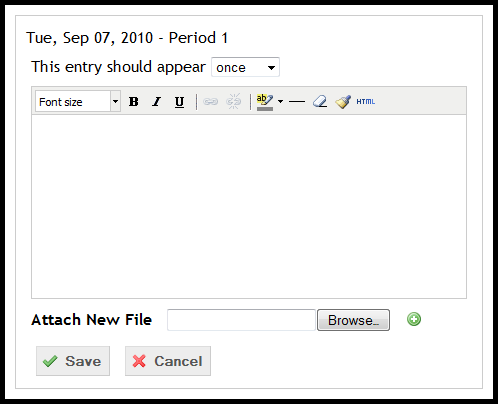 A new window will open letting you enter your plans, attach files, and set the Core Standards (if enabled). For more information on the "This entry should appear..." option. For more information, check out our video tutorial on Creating Templates.